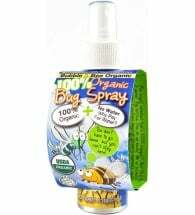 Stop pesky deer flies before they bite! Tred-Not Deerfly Patches are incredibly simple, yet AMAZINGLY effective. Just apply to the back of your hat or cap. 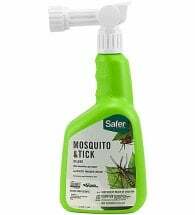 Attacking deerflies become trapped on the adhesive surface. When the patch is full, simply peel off your hat and throw away. 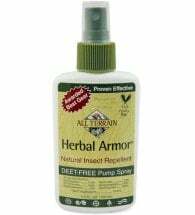 Great for fishermen, campers, hikers — anybody that enjoys the outdoors! Each package contains TWELVE 2″ x 6″ sticky traps. • Each patch lasts all day — or until full! 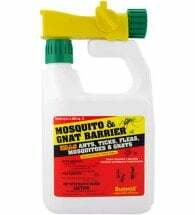 • Stops pests before they bite! 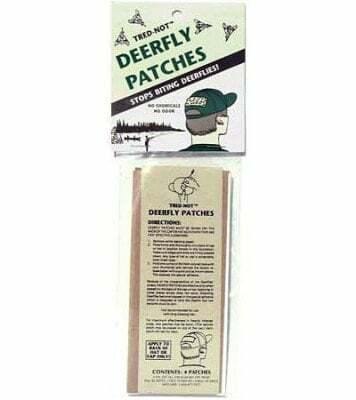 Deerfly Patches have been field tested and recommended by the North American Hunting Club, Ohio State University and the Michigan Department of Fisheries and Wildlife.